Do you know that there was a time when people thought about blogging is all about writing articles on technology? Some viral content websites and fashion blogs made us change the mindset. But still the first niche that comes to most people’s mind when hearing the word ‘blog’ is tech. A large number of tech blogs are out there on the web. But those who genuinely write for helping the visitors are very less. That’s why I have decided to come up with this post featuring top tech bloggers of India. In our country, one out of three bloggers has a tech blog. So, it was very difficult for me to check each blog and come up with a post like this. I know I couldn’t include all the bloggers who regularly provide value to the readers and doing justice to the money they receive from blogging. But I am pretty sure that my list doesn’t include a single blogger who gives nothing to the reader and expect profit only. I am really honored to present top tech bloggers of India before you because of whom our country has got an impeccable place in the global map of blogging. 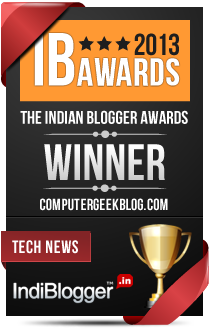 So are you ready to dig deep into the top tech bloggers in India? Here we go. Note:- The data is sorted on the basis of Moz’s domain authority. And gave the name of the blog instead of blogger in case it is impossible to find the admin through the site. I have collected a whopping list of ninety-nine Indian tech bloggers that you can find the same below. If you think any blogger (with a blog of Alexa rank under 100k) needs to be in this list, you can comment here. I will update the post as soon as possible. I need a soda right now. Wasn’t it a looong list? If you find I missed any top blog, you can let me know via the comment section down below. I will update this list as early as possible. Feel free to share this post with your social media dudes.